. Published on October 5, 2010 . I knew a Dr. Seuss cake was the perfect excuse to get creative and really do something fun so I decided to put some little “Seuss-y” feet under the cake board, almost as if the cake might walk away before you get a chance to cut into it. 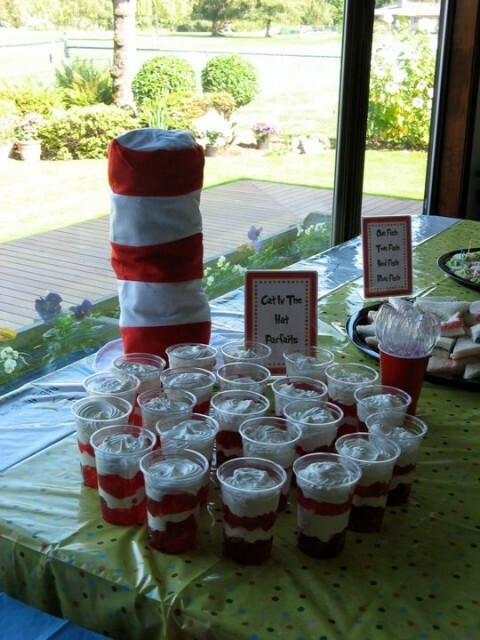 Emily did such a great job with the decor for the party. What a lucky momma to be! AAAHHH Green eggs and ham!!! I WILL eat them Sam I am! 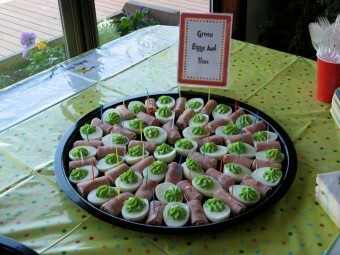 Green eggs and rolled ham never looked so adorable and so delicious! Genius! 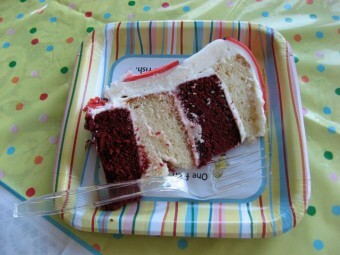 I made the hat out of alternating layers of red velvet and vanilla cake with cream cheese frosting. I LOVE that they got a photo of this slice I never get to see the insides of my cakes! 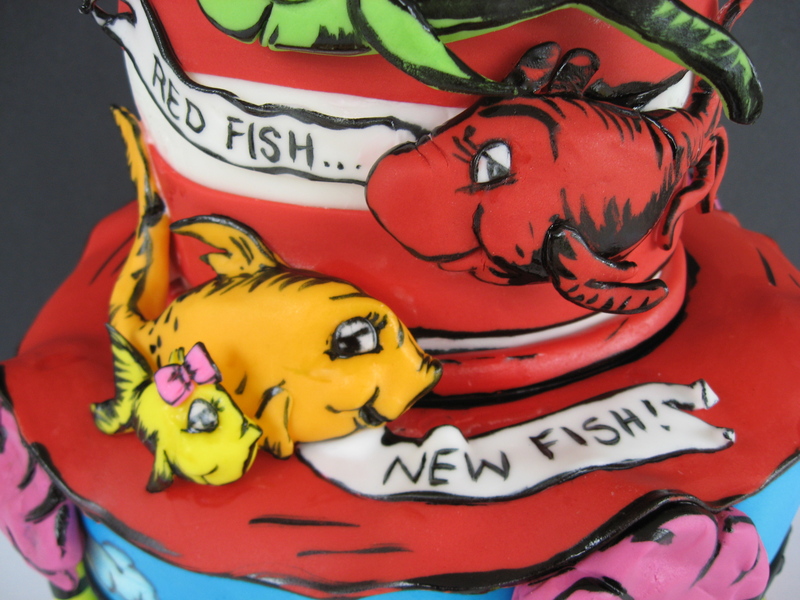 A few close-ups of the fishies and bottom tier details. 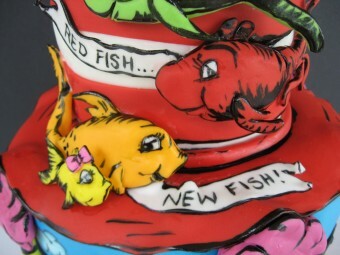 I think painting the details on the fish was my favorite part. It made me feel so nostalgic and images of all those fun characters come flooding back. I totally felt like a kid the whole time I was decorating! 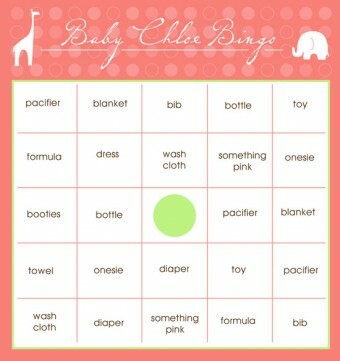 What a fabulous theme for a baby shower! I’m honored my cake could be a small part of it. 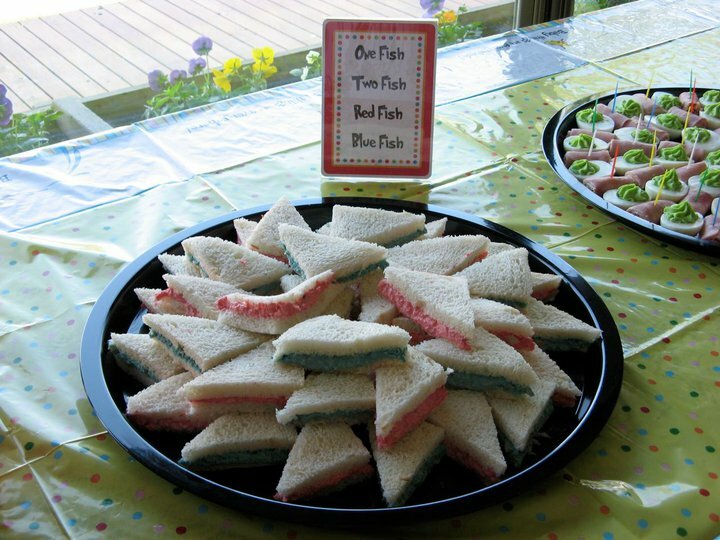 Hi Iam such a big fan of your cakes and our wok I found your videos on YouTube I was wondering if you could do a video on how you made the fish for this cake I actually have a a cake In a few months and I would really like to try to make these fish thank you so much and your cakes are awesome!!!! I would love to order this Dr. Seuss cake for my grandson’s birthday! I live in the St. Louis area, would this be possible? The cake is soooooooooo cute. What is the cost and how many does this feed? I love this cake. I will like to know the price of this cake and the parfait . I am planning a shower for my daughter in July and the theme is Dr. Seuss. this is awesome, i want to make a cake like this for my daughter’s bday, did you use a template for the fish?? 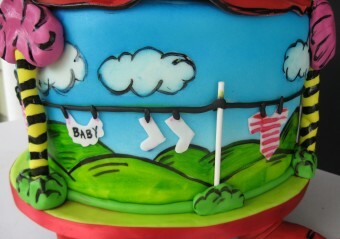 Love this cake! Amazing! How much would you charge for this cake for a party of 35? How much will you charge me for a cake like this but it has to serve about a 100 people. 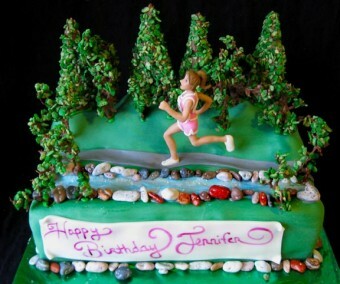 How much does a cake like this cost? how much does this cake cost? and where are u guys from? 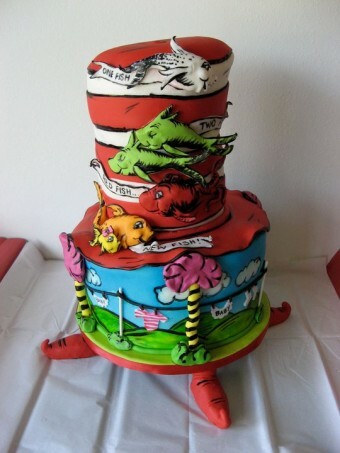 I would like to get more information about this Dr. Seuss cake and the parfay. 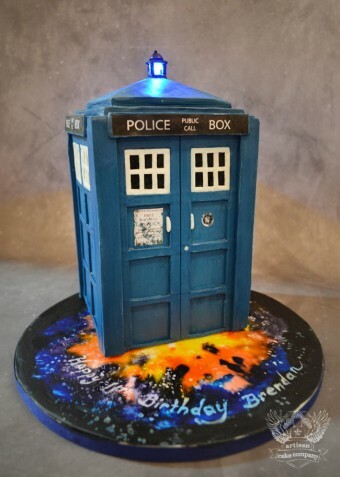 can you order a cake like this? How much does it cost? How do i order a mini version??? I am going to be the paternal grandmother to the little one whose baby shower this was for. It was an awesome cake. I have never seen anything like this before. It was moist and very good. It was a delight to see. It also was the talk of the shower. So from now on, every baby shower I “plan” I will want to be Dr. Seuss so you can make another cake like this. 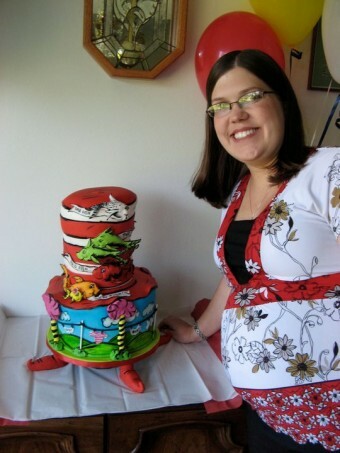 Shoot, I am even contemplating having my some-day-baby-shower be Dr. Seuss so I can have an AWESOME cake like this!!! See, you inspire people You inspire me Liz. 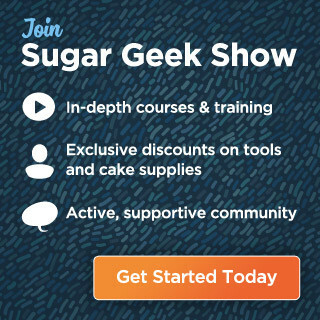 Amazing cake – I love it!